If you missed mine and R.J.’s entry into Teresa Crout’s Barbecue Challenge over at the Kitchen Project blog you can see it here. We had lots of fun making our hot dogs but we didn’t expect to win. So imagine our surprise when we found out that our hot dogs were a hit! 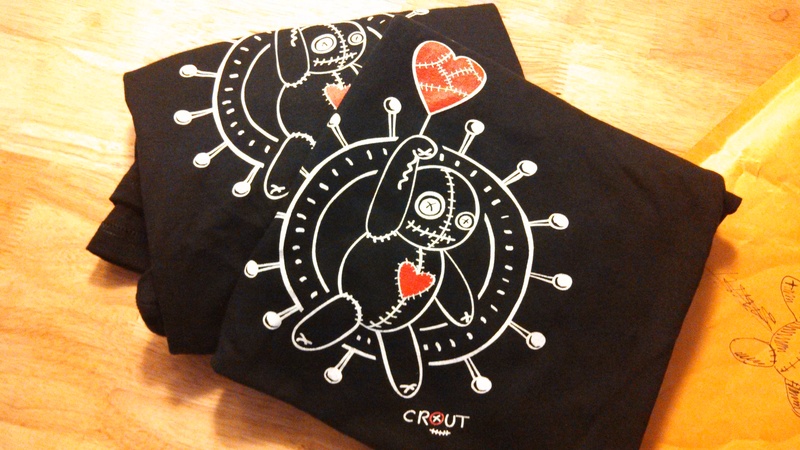 This week our fabulous prizes arrived in the mail….check out these awesome Voodoo shirts! 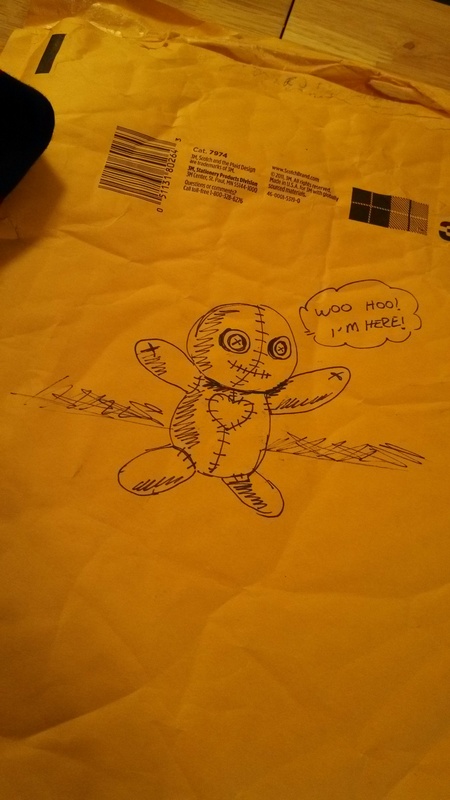 Even the packaging is decked out with an adorable little voodude! If you’re reading this and thinking to yourself, “Dang you guys are lucky. I wish I had entered that challenge so I could get one of those sweet, sweet tees for myself!” then worry no more, my friend. 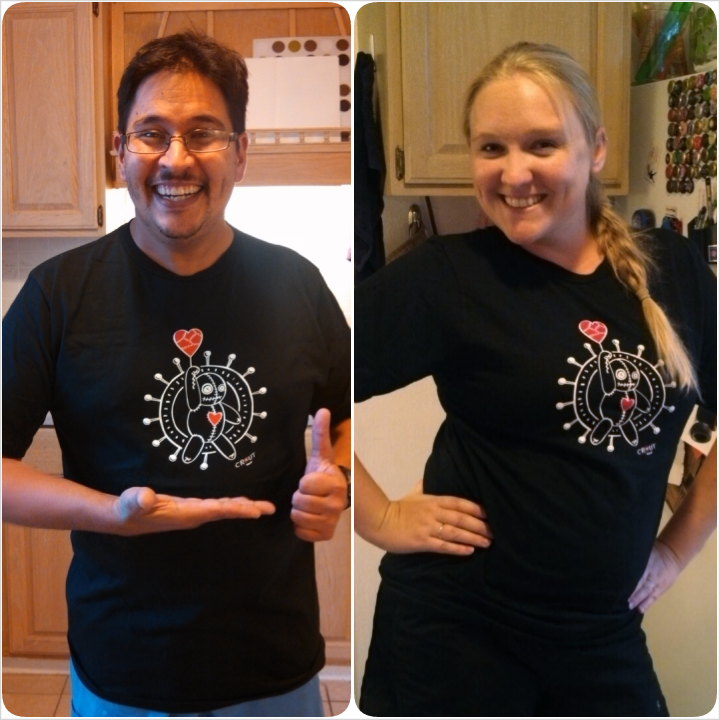 You too can get one of your very own! Just swing by Theresa’s Etsy shop and grab as many as you like:) And be sure to follow her blog so you’ll know when the next challenge rolls around!